﻿ 100 years of the return of the status of the capital: Vladimir Spivakov gave an anniversary concert. 100 years of the return of the status of the capital: Vladimir Spivakov gave an anniversary concert. 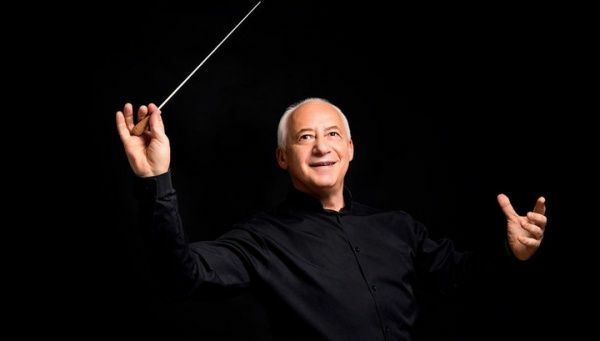 Maestro Vladimir Spivakov and the National Philharmonic Orchestra on 10th of March(Saturday), at the Moscow International House of Music gave a concert in honor of the 100th anniversary of Moscow's return to the status of the capital. Violinist virtuoso Narek Hakhnazaryan performed with the National Philharmonic Orchestra of Russia under Vladimir Spivakov. The musician cooperates with leading orchestras and conductors, performs in the largest halls of the world and gained international fame after a brilliant victory at the XIV International Tchaikovsky Competition in 2011. The concert was held in the framework of the season ticket "Masterpieces for All Seasons No. 1". Soloist - Narek Hakhnazaryan, cello (Armenia). Conductor - Vladimir Spivakov. In the program: "Romeo and Juliet", overture fantasy and "Variations on the Rococo" for cello and orchestra by Tchaikovsky, Symphony No. 9 in E flat major and Suite No. 2 for the Shostakovich jazz orchestra. This evening, the compositions of Russian composers were performed, whose life and work were closely connected with Moscow. The name of Peter Ilyich Tchaikovsky is Moscow Conservatory, with the opening of which in 1866 began his teaching career. The name of Tchaikovsky is also given to the concert hall of the Moscow Philharmonic. In Moscow, many of the composer's works were created, and one of the first works was the overture-fantasy "Romeo and Juliet" based on Shakespeare's play. Dmitri Shostakovich moved to Moscow during the Great Patriotic War, the end of which was marked in his work by the creation of the Ninth Symphony.